Typeform allows you to create stunning and high-conversion forms in minutes using their simple drag-and-drop interface. In this guide we will demonstrate how to integrate Typeform to your landing page as an alternative method for registering users to your Viral Loops campaign. It's a fairly simple process and it will only take a few minutes to do. First, you will create a simple Typeform and embed it on your website. Then, through Zapier you will funnel the Typeform submissions to your Viral Loops campaign. What this means is that when people are submitting their details on your Typeform their data will be submitted to your Viral Loops campaign as well. If someone was referred to your Typeform, their referrer will also be tracked to Viral Loops so that the referral can be attributed correctly. As a first step, we need to create a simple Typeform. It includes two fields: firstname and email. 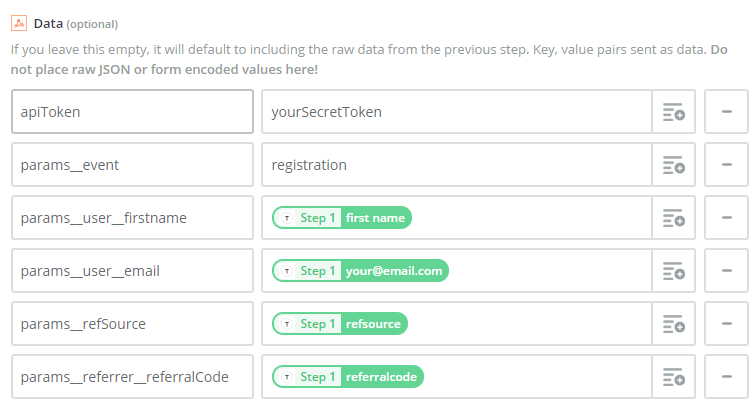 It is critical to include those two hidden fields and name them as: refsource and referralcode. Remove everything after the first "?" in that link and remove the "?" too. In your page, copy paste the following code right before the closing </body> tag. Now go to Zapier and create a new Zap. Choose Typeform as your Trigger App. 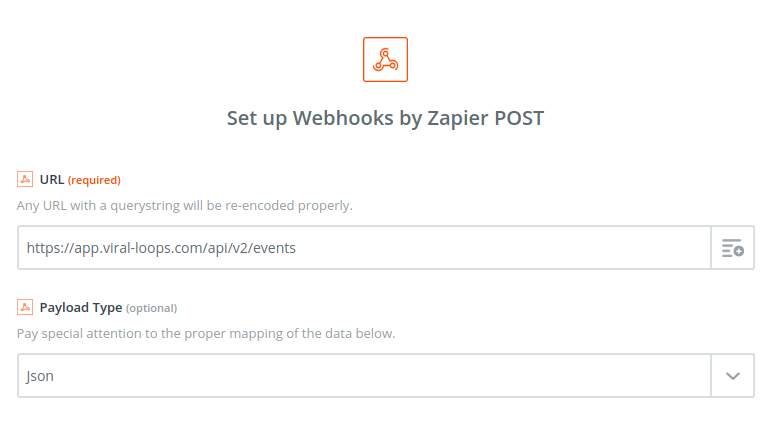 Make sure to do at least one submission in your form so Zapier can pick up the fields and use them automatically for the rest of the integration. 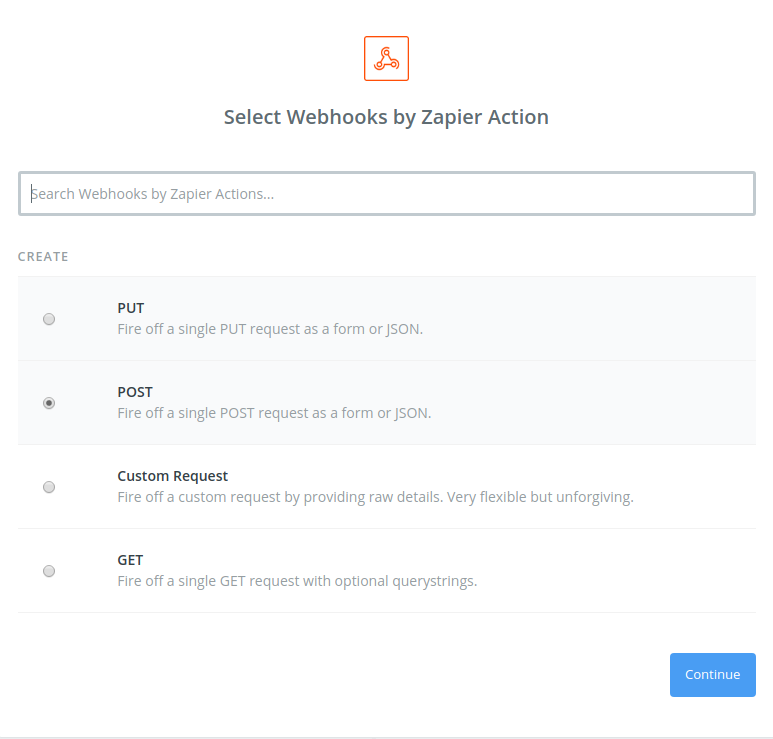 Then choose Webhooks as your Action app. It will ask you what kind of API request to make. params__event with value "registration". Note that this is a double underscore there in "params__event". Please note that the parameters on the left columns need *double* underscores to work. Make sure Unflatten is set to yes so Zapier will convert the previous parameters to a valid Viral Loops API call. Click Continue and then Finish.